CEBU CITY, PHILIPPINES, JULY 23-26, 2015 — Yamaha Motor Philippines, Inc. delivered another stellar showcase in the form of their International Motorshow, this time in the City of Cebu. The event is centered on the industry shaking technology that is the Yamaha Blue Core engine, a creation that offers more power with less fuel which is now available in the Philippines. Specifically, it is equipped on 3 different units that were on display in the Motorshow. First, the Mio i 125, a refreshing combination of power and lightness accented by a stunning design that will make the rider feel extraordinary. The unit was made available to the public in the form of a free test ride that took place in the covered parking area of SM City Cebu. Next is the Mio Soul i 125, this unit has a bolder design with an aggressive front face for a daunting presence on the road. Last of Blue Core trio is the N-MAX, another addition to the max series that is now equipped with the latest in fuel efficiency; it also gives the rider a sense of comfort in any lifestyle allowing them to enjoy the vast sceneries in Cebu. That would not be the only products on display; the R-Series that consists of the YZF- R1, R3, and R15 was also in the venue; The Super Tenere, MT-09, T-MAX, and Bolt of the Big Bike Category which is eagerly awaited by riders in the country. A new trend that just arrived this year, the Yamaha Tricity powered by the Leaning Multi Wheel technology was there alongside the AT units. Marine products were also present with Wave Runner and Outboard Motors; the Yamaha Power products had a complete lineup of generators for everyone to see. The displays weren’t the only attractions because there was a selfie promo where guests are asked to upload their selfies alongside Yamaha products to their facebook page with the hashtag #YMPHmotorshow2015 to receive a motion of innovation lanyard. That wouldn’t be the only freebie, because guests only needed to register to receive a free Yamaha Tote Bag, 360 Magazine, and stickers. The event was not short of exclusive entertainment with performances by Ballet Manila, Jessy Mendiola, and Yeng Constantino; plus a special appearance by Robi Domingo. In addition to that exclusivity, the Yamaha Club offered the brand new membership card that can be claimed on the same day of registration; a benefit that was only available during the event days. It was 4 days of excitement and exhilaration presented with ingenuity that redefines the landscape of the motor industry that is spearheaded by breakthrough technology that challenges the limits of the riding lifestyle; one that is recreated by Yamaha. “See you in Boracay!” were the words of Silicon Valley startup guru Dave McClure who will speak during the Geeks on a Beach (GOAB) international tech confab. GOAB will be making its third comeback on August 21-22, this time in world-famous Boracay Island where it all began 3 years ago. McClure also​graced last year’s GOAB held at the Moevenpick Beach Resort Hotel in Cebu. He is prominent in the tech world as the founder of the 500 Startups, a global accelerator and seed fund investing firm that has set its eyes on Asia as one of the fastest growing tech communities in the world. “We are committed to our vision of nurturing technology startups from the Philippines and the Southeast Asia to help them scale to the region and globally," said IdeaSpace President and Co-Founder Earl Martin Valencia. “GOAB is Southeast Asia's most relaxed, friendly, and fun conference. Real relationships get made. Deals get done. And it's by the beach. 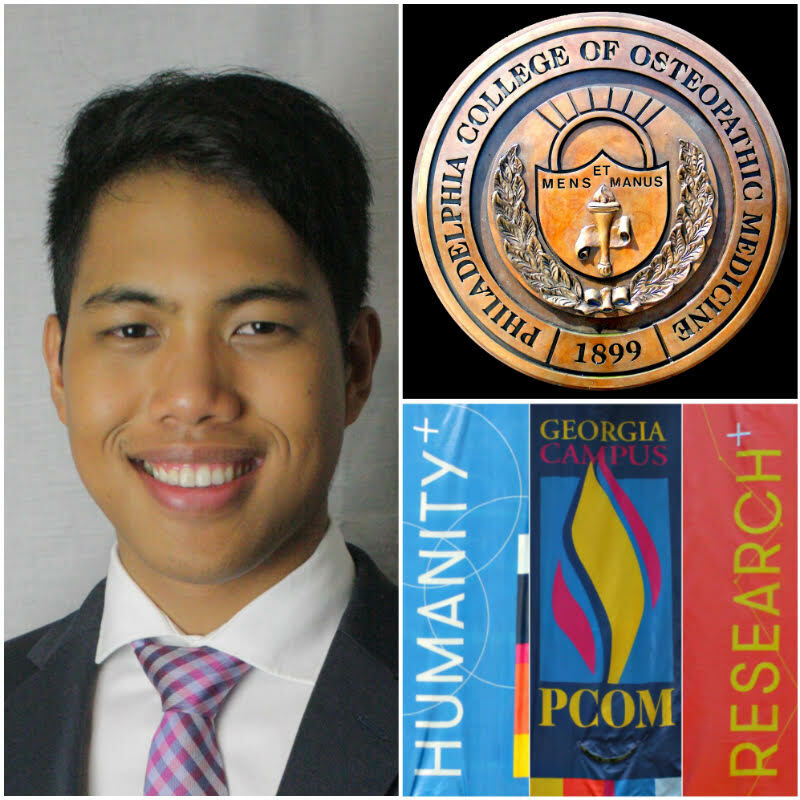 You can't miss this,” said Khailee Ng, also of 500 Startups as its Managing Partner. GOAB organizers are encouraging those interested but have not yet registered to signup now to make the most of this rare experience. They particularly called on people in the tech industry who want to see what's new in live action to join GOAB. To register, sponsor, or inquire about GOAB, visit the website,www.GeeksOnABeach.com, follow @GeeksOnABeach in Facebook and Twitter @GeeksOnABeach, or emailhello@GeeksOnABeach.com. TechTalks.ph has once again partnered with IdeaSpace​, SMART Communications, SMART DevNet, PLDT Innolab, and the Department of Science and Technology-Information and Communication Technology Office (DOST-ICTO) to make the third GOAB possible. Strategic partners include Sym.ph, Happy Garaje, and PRWorks with AirAsia, Amazon, 1337 Ventures, Monk's Hill Ventures, Plug and Play. Microsoft, Islands Souvenirs, Salarium, Frontier Ventures, RTI International and USAID-STRIDE as main sponsors. Sophie Paris, an international fashion and direct selling company, is now bringing the third leg of its Fashion and Beauty Caravan to Cebu. The event will be held at the SM Cebu City Trade Hall on Saturday, August 15, from 11:00 AM to 6:00 PM. 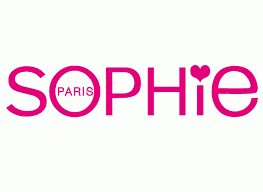 Founded by French entrepreneur Bruno Hasson in 1992, Sophie Paris has grown from a home-based handbag manufacturing business to become a fashion direct selling powerhouse in Asia. Sophie Paris brings out the latest styles in fashion with its exclusive French-designed products at an affordable price. Sophie Paris aims to deliver happiness to its members by giving them income opportunities, helping them look great, and having fun all at the same time as a way of achieving success. The company took the Philippine market by storm in 2002, straight away becoming one of the significant players in the country’s direct selling and multi-level marketing industry. Their French-designed products come in a wide range of variety with new styles exclusively available in monthly catalogs. Sophie Paris Philippines continues to grow with more than 500,000 members and over 140 Business Centers nationwide. Sophie Paris is also a proud member of the Direct Selling Association of the Philippines (DSAP). Earlier this year, Sophie Paris Philippines brought its successful Fashion and Beauty Caravan to Manila and Davao. Now, SPPI will celebrate this event with Cebuanos who believe in beauty, fashion and financial independence. “We hope to spread the Sophie Paris’ brand of empowerment so that our members can have a better future while enjoying and feeling good about themselves,” said Mr. Jomel Diaz, Area Sales Manager of Sophie Paris Philippines. The company lets members earn with its lifetime 30% discount and up to 15% in royalties. Sophie members and Business Centers also get the chance to win great prizes, including free international trips and an SUV for their hard work. “The Sophie Paris Fashion and Beauty Caravan is more than just about fashion and beauty. Sophie Paris is dedicated in giving earning opportunities to more Filipinos to improve their lives and create a better future for their families. It is more importantly about inspiring Filipinos to take hold of business opportunities and work towards success,” said Mr. Diaz. The event will feature a Fashion Show showcasing the Sophie Paris Philippines catalogs for both August and September, led by Mutya ng Pilipinas Finalist and Crowned Mutya ng Viva 2015, Ms. Sophie Paris 2014 1st runner-up Erin Fernandez. In addition, there will be guest performances from Jay Falinga – Cebu’s Vice Ganda, Type 1 Dance Crew, live bands, and a Zumba Party with Baby Jane Enad. Inspiring success stories from leaders based in Visayas will be shared during the event, giving a glimpse of the fun and excitement members can experience by being part of the Sophie Family. Top performing Sophie Paris members and business centers will moreover be awarded. There will also be a beauty & fashion booth featuring a wide variety of Sophie products from makeup, perfumes, bags, shoes, watches to garments. Raffle prizes and giveaways will also be given away. Anyone above 18 years old can sign up on the spot to be a member at the recruitment booth. 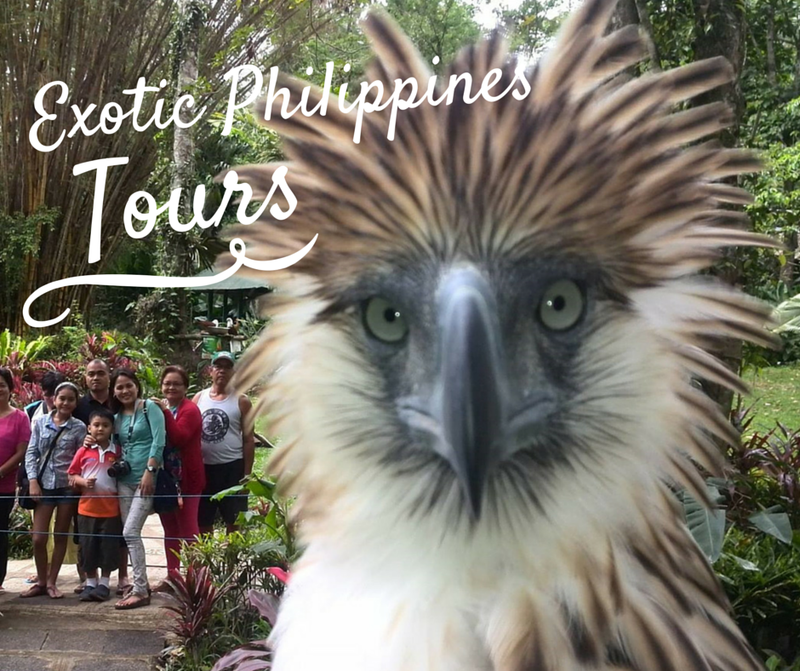 “We have an exciting day lined up for Cebuano Sophieniestas. Enjoy our make-over booth, cosmetic and fashion booth, photo booth and goodie bag free to all registered members. Be there as Sophie Paris delivers happiness to Cebu City!” Mr. Diaz concluded. Registration for the Sophie Paris Fashion and Beauty Caravan will start at 10:30am. Tickets are available in Sophie Business Centers for Php 100 only. For more information, go to www.facebook.com/SophieParisPh. Globe Telecom and Clash of Clans (CoC) Philippines, the biggest Clash of Clans community in the country, recently held the country’s first and biggest Clash of Clans Tournament and gathered hundreds of participants during its opening round held in Abreeza Mall in Davao and TriNoma Mall in Quezon City. Globe launched the #NextLevelKa Clash of Clans Tournament as part of its foray into mobile gaming to enable the Filipino digital lifestyle by giving customers access to top mobile games such as Clash of Clans for free with a GoSURF subscription. The first run of the #NextLevelKa Clash of Clans Tournament saw a total of 24 winners, 18 coming from the Individual sub-categories - Rookie, Master and Champion, and 6 champions for the clan match-up. Over the course of the 2-day tournaments, all participating Clashers put out their best strategies accumulating an overwhelming 50,000 game trophies. For the Clan category, the winners in Manila are 2nd runner up: Clan Gaboon led by team leader Ryan Nel Panganiban; 1st Runner up: Clan Filipino Champs led by team leader Jeric Paniza and Champion: Clan Pinoy Playhouse led by team leader Edenlyn Garcia. For Davao, the Clan category winners are: 2nd Runner Clan Mga Imba! led by team leader Iqard Murod; 1st runner up: Clan #NextLevelKa led by team leader Dave Richard Olaer and Champion: Clan Filipino Champ DC led by team leader Rhonson Ng. “We are overwhelmed with the amount of support and participation that the gamers have given in the first round of our #NextLevelKa Clash of Clans Tournament. We would like to call on the rest of the Clashers to join the remaining tournaments scheduled on August 1 and 2 at the CSI Mall in La Union and on August 28 and 29 at the Ayala Center in Cebu and be part of the country’s first and biggest gathering of CoC players with exciting prizes up for grabs for the winners,” shares Raymond Policarpio, Head of Globe Prepaid Portfolio and Brand Management. Finally, all the winners from the different tournament legs will meet in Manila for the Ultimate Clash Grand Championships that will be held on September 13, 2015 at the Glorietta Activity Center in Makati. Individual winners are set to take home over 50,000 worth of cash and gems while Clan champions will receive over 500,000 worth of cash and gems. To qualify, interested players must be a Globe customer registered to GoSURF50, the telco’s consumable mobile data plan which gives users 300MB of data for only P50 valid for 3 days. Players should have a mobile device with internet connectivity and the Clash of Clans mobile game app and must be at least at Town Hall 3 and above to compete for the individual category or Town Hall 7 and above for the clan category. Troop level per Town Hall will not be considered. To register, players can just visit the Globe Prepaid booth located at the tournament venues. As the purveyor of the Filipino digital lifestyle, Globe is conquering the mobile games arena with its GoSURF consumable data plan, which gives customers free access to top mobile games such as Clash of Clans, Candy Crush, Boom Beach, among others. With GoSURF50, customers get 300MB of data for mobile browsing, free access to Facebook, and an additional 400MB of data to access top mobile games and Spotify. To know more about the #NextLevelKa Clash of Clash tournament presented by Globe Telecom and CoC Philippines and learn about GoSURF50, visit http://www.globe.com.ph/gosurf50, call 730-1010 or visit a Globe Store nearest you. 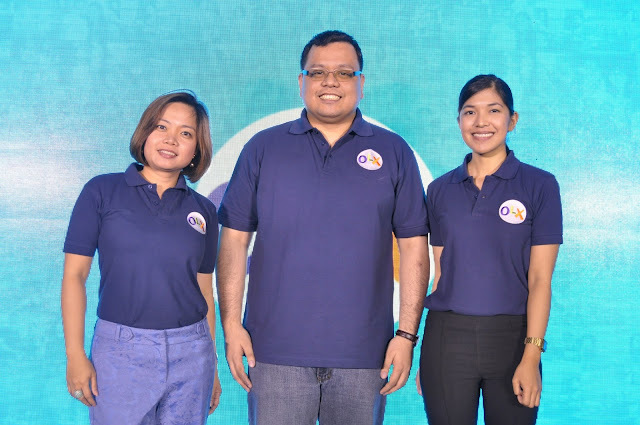 One year after its rebranding, OLX Philippines, the country’s leading buy and sell platform, announced it is now focusing on leveling the online classified ads landscape to provide users with equal buying and selling opportunities. Shortly after its rebranding, OLX established an office in Cebu to reach out to more users in the Visayas and Mindanao regions. Earlier this year, it also merged with another classified ads platform. Through these adjustments, OLX continues to expand its reach and make online buying and selling accessible to more Filipinos. “With the level of reach that OLX is attaining, we want to continue making it easier for more Filipinos to experience online buying and selling -- from the occasional sellers who are selling stuff for the first time to street-smart buyers who maintain a practical lifestyle,” says RJ David, Managing Director of OLX Philippines. OLX has implemented several product changes to make the experience more pleasant for their users. For instance, the platform is now highly optimized as the loading time of pages has sped up by as much as 70%. The sell form has also been simplified, allowing users to accomplish more in less time, such as selecting specific location for targeted queries and choosing item categories faster through the auto-suggest feature. To keep the online buy and sell community vibrant, each ad comes with an improved report button that users can simply click in case they find suspicious ads. This is then directly sent to the OLX Support Team for investigation. OLX has also removed its feedback system and reduced the number of free ad slots. “Implementing a limit to the number of free ad slots and removing the feedback system give us more quality ads and an equal selling opportunity to all types of sellers. At this point, our focus is to spread the buyer leads to as many sellers as possible,” explains David. Removing the feedback tool has increased the number of sellers getting buyer inquiries by 17% from 51,000 to 60,000 and the implementation of the paid limits has also resulted to a 38% jump from 43,000 to 60,000. Amidst the changes, OLX remains to be a FREE online classified ads platform where all OLX sellers can still post items at no charge. Paying for additional ad slots is just an option since you can either delete items that have already been sold or remove inactive ads. Steering towards helping their users become active advocates of the classifieds lifestyle, OLX has also introduced their newest content platform, OLX Yaman. This is where they can get first-hand information and insightful tips about online buying and selling. It will also be featuring user stories and lifestyle articles that cover various topics such as cars, real estate, travel, fashion, and tech. Users can already browse OLX Yaman through www.yaman.olx.ph. Ultimately, all these changes contribute to the company’s higher purpose of providing an opportunity for users to make smart and practical choices that can lead to an improved life.